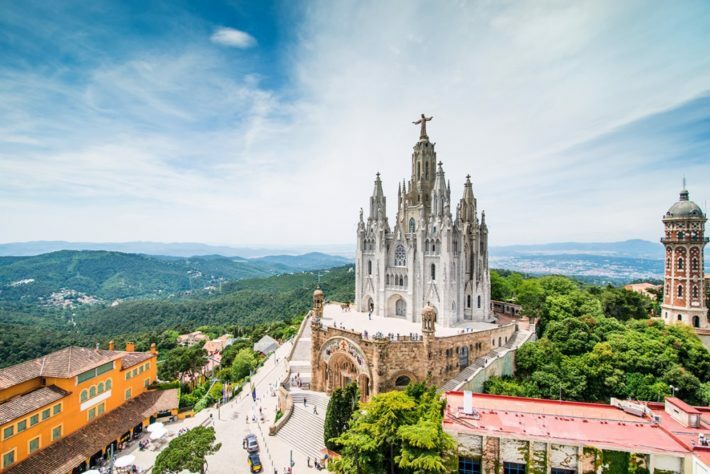 On the top of Mount Tibidabo lies one of the oldest amusement parks in the world! This, more than 100 years old park offers more than 30 attractions designed for everyone, from kids to the adults. On Tibidabo Mountain Amusement park with a free entrance and other is the Sky Walk area. The Amusement park is more interesting for children, while Sky Walk is for anyone interested in the amazing panoramic view of Barcelona. 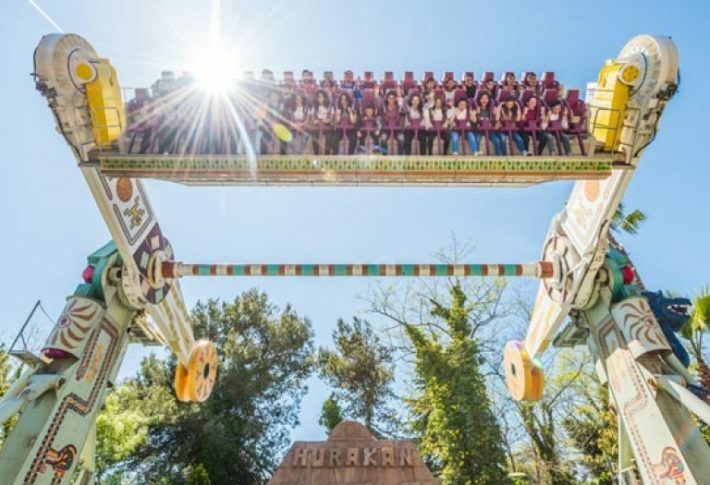 Amusement Park offers 25 rides and attractions, including the Plane, Roller coaster, Plaça dels Somnis, Plaza of Dreams, Gold mine and so on. There are also cafes, play areas, panoramic restaurants, and live entertainments. In the Sky Walk area, visitors may take the traditional Ferris wheel Talaia that is more than 550 meters above the sea level. While being in the “slow-moving mental arm”, you will be free to take an amazing photo of Gaudi’s city from above with lots of attractions within a frame. Avio is another ride that offers you the best view of Barcelona while you are sitting in a small red airplane, slowly and horizontally rotating. Both rides are the real classics and are open for visitors since 1920s. The most notable neogothic building of the city is the Church of the Sacred Heart, crowned by the enormous statue of the Jesus Christ that is similar to the Rio de Janeiro’s Christ statue of Corcovado. Fun fact is that the idea of building a Church started in the late 19th century because of the rumors about the construction of a Protestant church and a hotel-casino on the same hill. The cathedral is free but for 2 euros you can take the elevator to the first viewing platform. If you want to get in shape and try to get to the top on your own, there are also hiking path. From Park Guell, there is a trip of total 4km with 400 meters gain elevation, including 2 km in urban areas and 2 km in through the forest. Be aware of traffic roads as well as shortcut options. You may prefer to challenge yourself with GPS only or with some other people by joining a hiking tour. If you plan to travel with kids, Cosmocaixa (Science Museum) is definitely worth to go. The Science Museum is located close to Avinguda del Tibidabo. 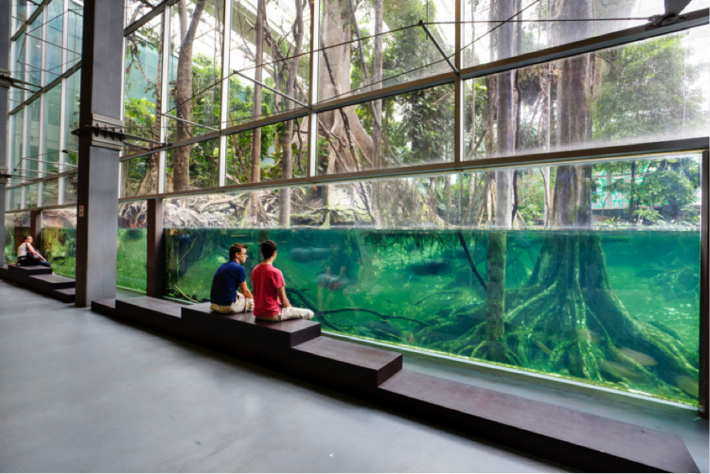 The range of the museum is giant with different topics, from ancient humans to an indoor jungle with animals or making sandstorms and waves. There are also some other children-friendly activities but only in Spanish and Catalan. Be ready to enjoy and discover the museum with nature, technology, and science here in Cosmocaixa. How to get to Tibidabo? Bus T2A from Plaça Catalunya or metro L3/L5/ bus H4 and bus T2B. Grab your 22% discount for the Flamenco show and see the best dancers in Spain or explore the Catalan metropolis like a local with a 10% discount. Enjoy with us on all kinds of activities, restaurants, and attractions in Barcelona. If you still do not have a place to stay Barcelona city check the Habitat Apartments website and find yourself a quality apartment for the best price.